A draft performance work statement adds that the personnel recovery services would be for Special Operations Command Central. That customer makes sense when looking at the request’s aircraft specifications. For fixed-wing assets, contractors should be capable of take-off from a 3,000-foot unprepared runway, with a range of more than 500 nautical miles. Hopeful contractors also need to be able to use night-vision goggles, carry no fewer than eight passengers and be capable of hot refueling, which is when the engine is still running. Rotary-wing assets must meet similar load and range conditions as those above, with the added bonus of rescue hoist capability. At a minimum, the contractor’s ballistic protection must cover both the cabin and cockpit areas. Officials did not provide any indication that this signals a change in current strategy in Yemen, which reportedly is limited to a non-kinetic role. “[Our command] frequently reviews requirements in locations where we have always had capabilities in an effort to sustain that capability if needed,” Army Maj. Dave Dunn, a public affairs officer for U.S. Transportation Command, told Military Times. Although the request is in support of special operations forces, it was posted by Transportation Command. This is because that structure is responsible for supporting medical evacuation from the various combatant commands. For such operations, U.S. forces are known to use their own, as well as commercial and allied nation, aircraft. 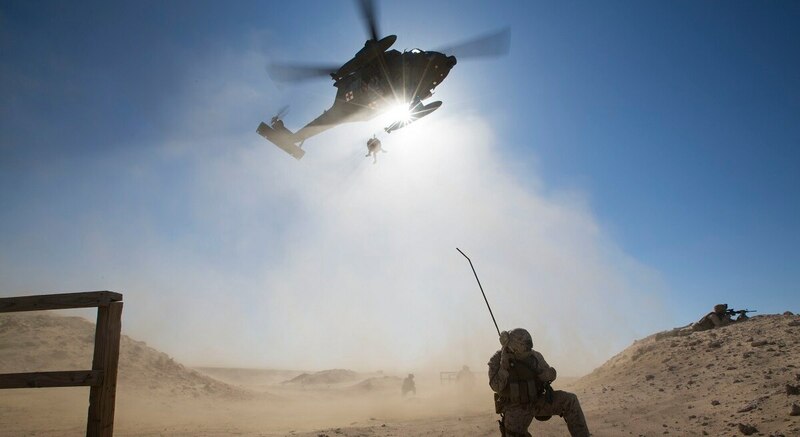 “Some geographic combatant commands also work with [Transportation Command] contracting experts when augmenting military tactical medical evacuation assets,” Dunn said. “For both tactical and strategic patient movement, commercial assets are held to clear standards for safety and effectiveness,” he added, addressing possible concerns that arise when using civilian contractors. The conflict in Yemen has been ongoing since 2015, between a Saudi-led coalition and Iranian-backed Houthi rebels. U.S. support to the Saudi Kingdom’s war has been a cause of frustration for some in Congress, who argue there hasn’t been a legal authorization to use military force against Yemeni rebels. 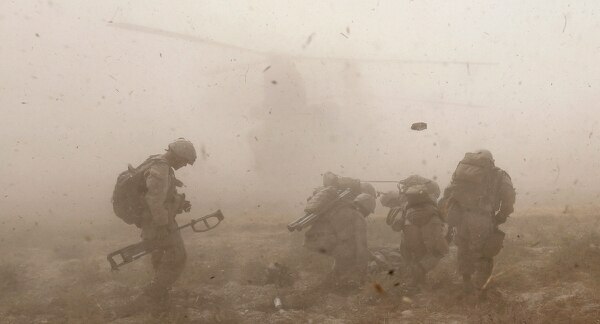 Rapid medical extraction is a luxury Marines may not have headed into the next big fight. Pentagon officials maintain that U.S. military assistance to the Saudis is limited to a aircraft refueling, logistics and intelligence sharing — which they say isn’t direct combat and does not require a Congressional vote. However, recent reports have indicated that Army Green Berets have been helping to locate and destroy Houthi ballistic missile caches along the Saudi border. That concession could change the dynamics, but the Pentagon remains tight-lipped. “For operational security purposes, we do not discuss numbers of U.S. forces operating in Yemen,” Navy Lt. Commander Rebecca Rebarich, a Pentagon spokeswoman, said when asked about the current disposition of combat forces in Yemen. Outside of the Saudi’s war against Houthi rebels, U.S. forces have in fact conducted raids against al-Qaida in the Arabian Peninsula militants who control shards of war-torn Yemen. However, those missions are covered by an existing authorization to use military force against groups responsible for the Sept. 11, 2001 terror attacks.